These photos are taken while travelling home from a trip to Perak and Penang. 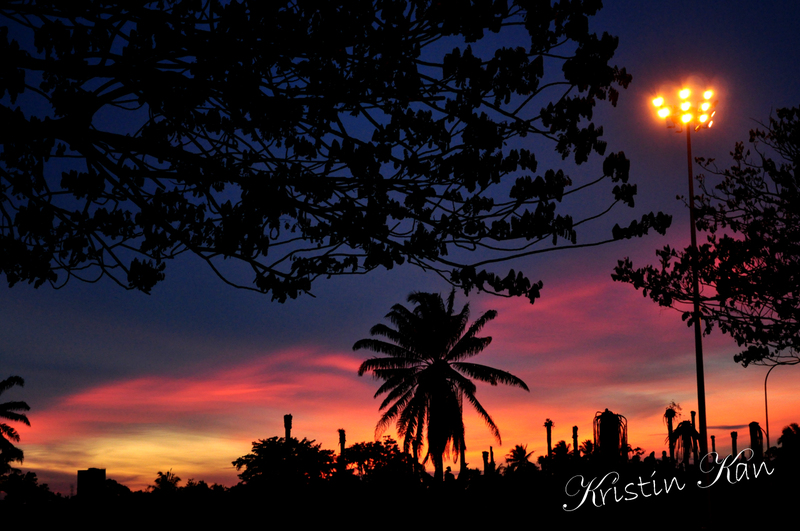 We stopped by for a break after Tanjung Malim and saw the beautiful sunset. Thus is such a beautiful sky you saw. These sky shots are fantastic. Gorgeous. The tropical feeling warms me up in the middle of our cold winter. 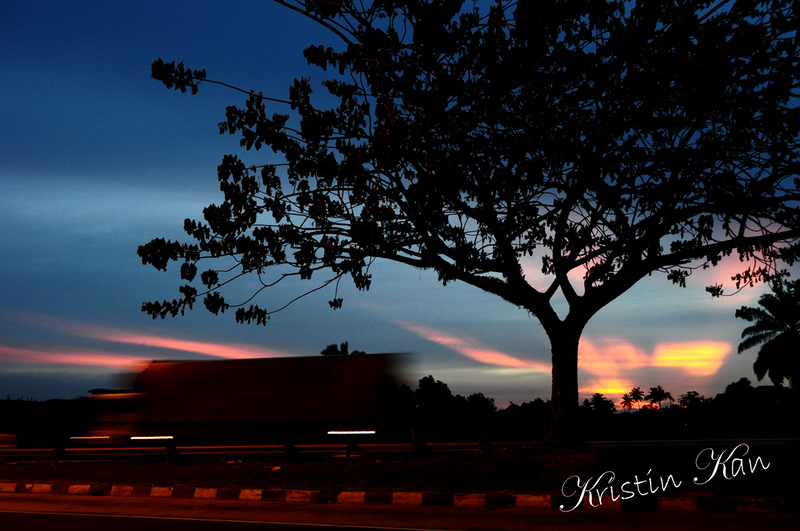 Beautiful sunset by the highway,good timing!